Sell to Us Price: $14.65 each. 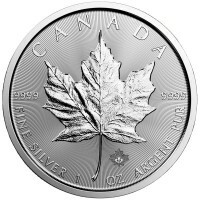 The silver mint bar is one of the best ways to buy silver at a very low premium. Buying silver bars at spot price online or over the phone through Money Metals ensures you will get the the best price on easy-to-trade silver bars and avoid of mark-ups from local dealers. 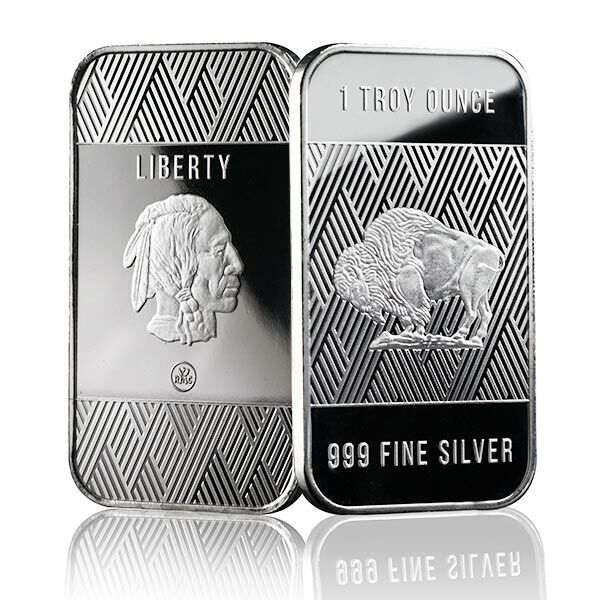 Silver bars can be used either as an investment asset or as an industrial product – thanks to their easy-to-store larger size. 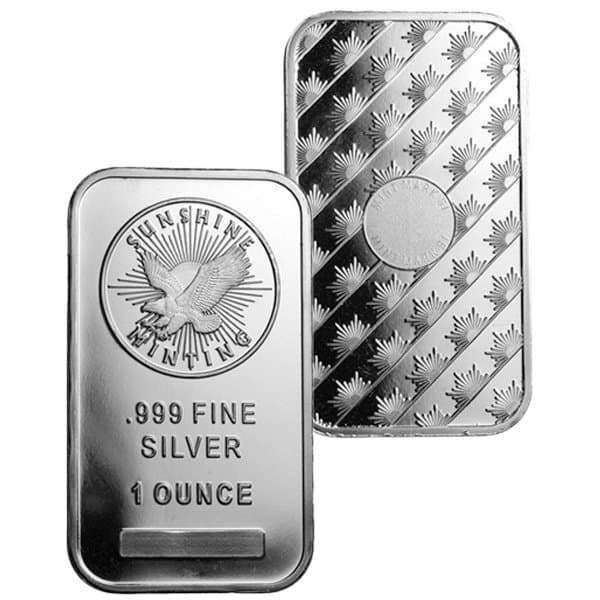 These .999 fine silver 1 oz bars are an alternative to 1 oz silver coins or rounds and offer some great savings versus the 1 oz silver coins for sale, such as the American Eagle bullion coin or Maple Leaf 1 oz coin(.999 fine silver coins). 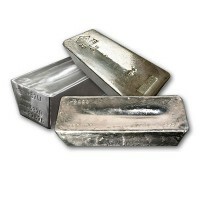 If you want something a little larger, consider the 5 ounce silver bar for your next investment. 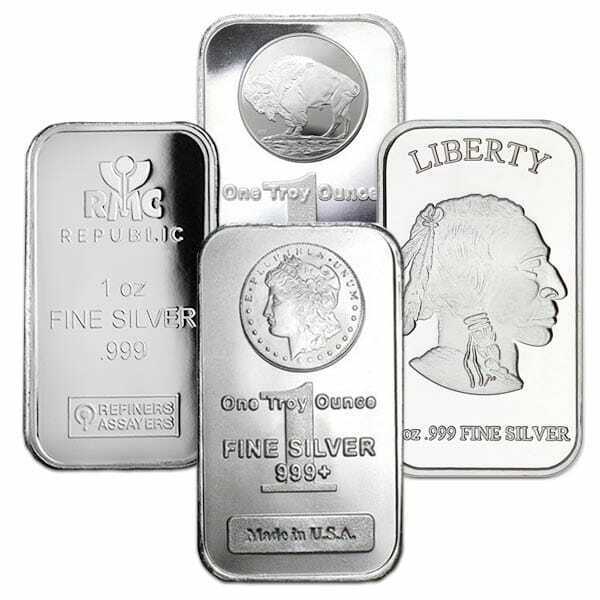 1 oz, 5 oz, 10 oz, and 100 oz bars of silver for sale, are widely recognized and widely traded throughout the world. 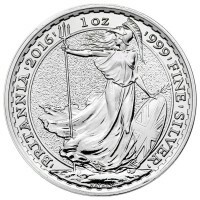 Like other .999 fine bullion silver products such as silver rounds or silver coins, bars are approved to be legally held in a precious metals backed IRA account, and are especially practical for this purpose. 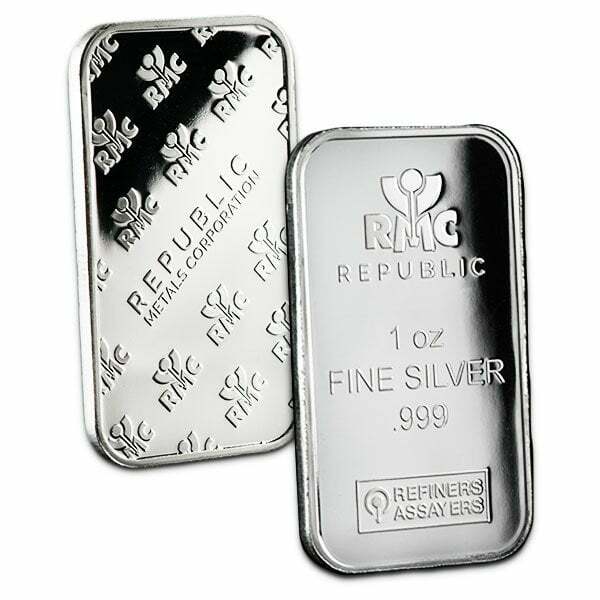 Our .999 fine silver bullion bars are always stamped with their weight and purity and are often identified and hallmarked with the insignia of the producing institution. The Johnson Matthey / Engelhard branded bars are among the most common in the industry, but other manufacturers include Elemetal, Royal Canadian Mint, Republic Metals Corp, Sunshine Mint, OPM, Highland Mint, etc. 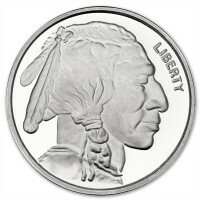 Our current buy pricing is $14.65 each and we will buy up to 2,500 ounces at this price. Simply call us on any weekday to lock pricing at 1-800-800-1865. These are very nice well minted with clear detail. A nice initial investment and great to teach value with when it comes to young children or yourself. Very nice 1oz bars! I'm totally happy with my purchase. Matt was a big help making the purchase flawless. Everything arrived in a timely manner with no problem whatsoever. Will definitely buy from MMX again! 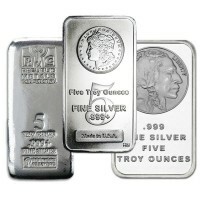 As always, fast shipping, beautiful silver bars, great to add to my silver collection. 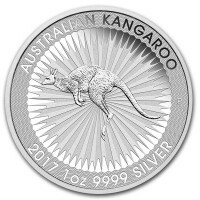 I think silver is highly under valued right now and it will soon go way up in price, I am stocking up now while it is at low prices, an investment for my future! We started with a small order to test the waters, we are very impressed with the customer service, quick processing of payments and delivery. The silver is beautiful and so we have taken the plunge. We will be ordering more, a lot more! 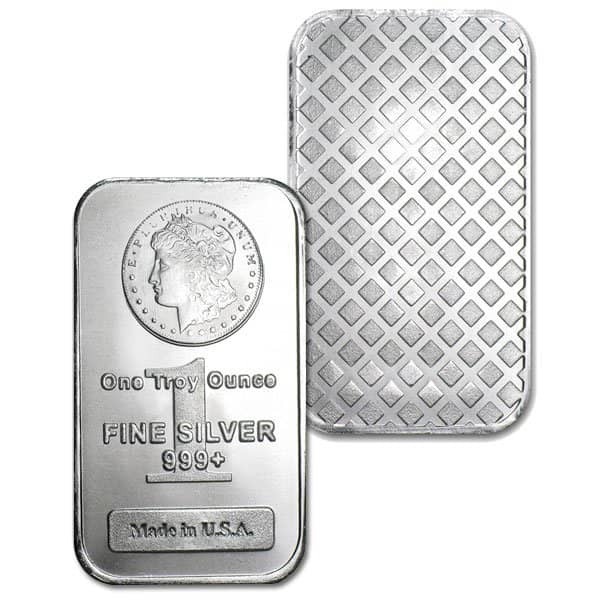 You can now sell your 1 Ounce Silver Bars back to us online, at a price of $14.65 each!